Bill Barrow has joined Seacrest Partners, Inc. as director of client risk and claim advocacy. Barrow brings over 25 years of experience in risk, human resources, and benefits management to his new position with Seacrest Partners. As the director of client risk and claim advocacy, Barrow will assist clients in developing effective risk management procedures and processes. He will conduct site visits for post lost mitigation and oversee loss control inspections and training. Furthermore, he will act as a human resources and employee benefits advisor. Barrow began his career with the Sea Island Company in 1988. 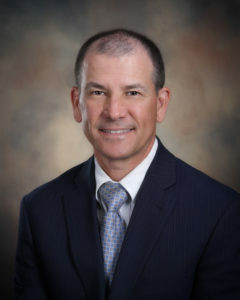 He has served as the director of risk management, employment manager, benefits manager, benefits and risk manager, director of benefits and risk management, and director of employee relations. He has also held positions as director of human resources and the director for the center for leadership, learning and development, and currently serves as the Sea Island Company chaplain. Barrow holds a Certified Risk Manager (CRM) and Associate in Risk Management (ARM) designation and is a member of the Society of Human Resources Management, Risk and Insurance Management, and the Resort Hotel Associations. He served as a logistics officer in the U.S. army and is currently a Georgia Army National Guard chaplain. In addition to his professional affiliations, Barrow is an ordained minister and serves on the board of directors of the Gathering Place, is a 707 leader, and serves on the advisory board for Way Radio. He is a member of the St. Simons Community Church, the Fellowship of Christian Athletes, and the St. Simons Island Land Trust. He has written two devotional books, A Book of Church Liturgy and Prayers from the Cloister Chapel and A Book of Daily Devotionals from the Cloister Chapel, and is also a Bible teacher and soccer coach. Barrow earned his Bachelor of Science in Business Administration from Erskine College and a Master of Education in Human Resource Education from Boston University.